This entry was posted in richard armitage and tagged actor, richard armitage, the hobbit, thorin oakenshield. Bookmark the permalink. Looks awesome! I can’t wait!!! @Spookysister7: I’m crazy excited too! I’m looking forward to the release of The Dwarf ….. um, I mean, er, The Hobbit. Wow, this is awesome! Is it December yet!? This is fantastic! Thanks B! I can’t wait! Beautiful image and this is only to start! Thanks for shared it,Bcc! Thanks for this! I love it! I am so excited that I can hardly wait for December! @Teuchter: It’s a thing of beauty and surely a sneak peek of scenes from the movie! Amazing isn’t it. I can’t wait until this Saturday and the SDCC Hobbit panel. @Faboamanto: Yes, I read on your blog that Comic-Con will have TV coverage. Can’t wait! I’m not sure if any coverage will find its way down under. I’ll be relying heavily on RANet, YT, and the blogs to see it. Roll on Saturday! Wow. That’s all I can say. Wow. I have no idea how many times Richard’s been in the water for his various roles. A lot? He’s not especially fond of being in the water either. @Holliday: Hehe, yes, poor RA seems to be doused with water on a regular basis. @Ana Cris: Just saw that! This is wonderful! The panorama reminds me of the big posters I used to employ in the classroom for discussion with the children. They were full of beautiful detail like this. @Mezz: I hadn’t made that connection. What a great comparison! Thanks for sharing your thoughts. 😀 RA has always been educational. LOL…educational. Nice save!! But you’re right, Mezz, it is outstanding! So many details to ponder!! Thanks B! These images are beautiful! 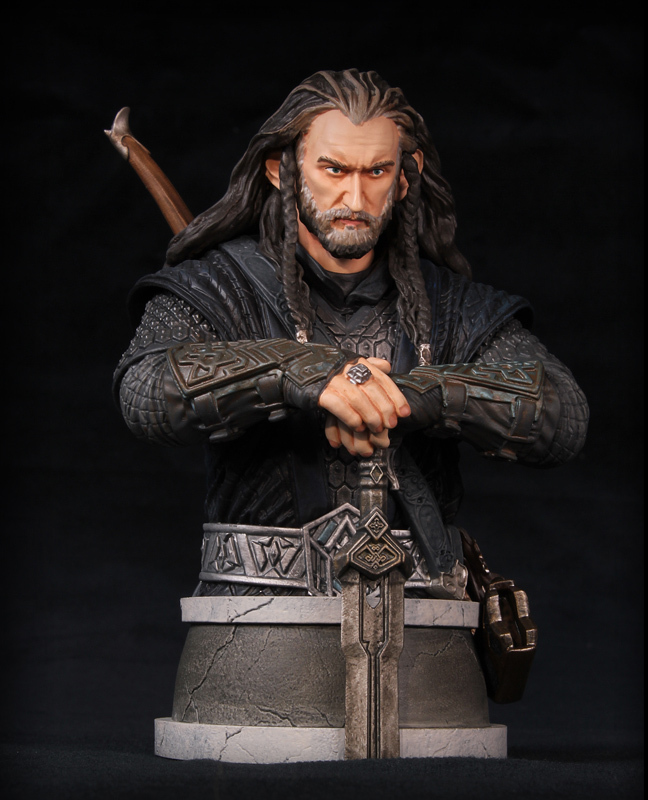 And they clearly illustrate that Richard Armitage as Thorin Oakenshield will be the centerpiece of ‘The Hobbit” marketing campaign. WOW! Just WOW! I even subscribed to EW so I could get the Comic-Con issue and other features they will do doubt have down the road. Ha! Wow – this is so amazing!! Richard looks truly majestic in the role. Thanks so much for sharing this bccmee. Well, I know what my new screensaver is! I adore how on the ball everyone is with new info and images. You all are AMAZING!!! Wow, wow, wow!! Fantastic!! Thanks so much, bccmee! B thanks for all the sharing. 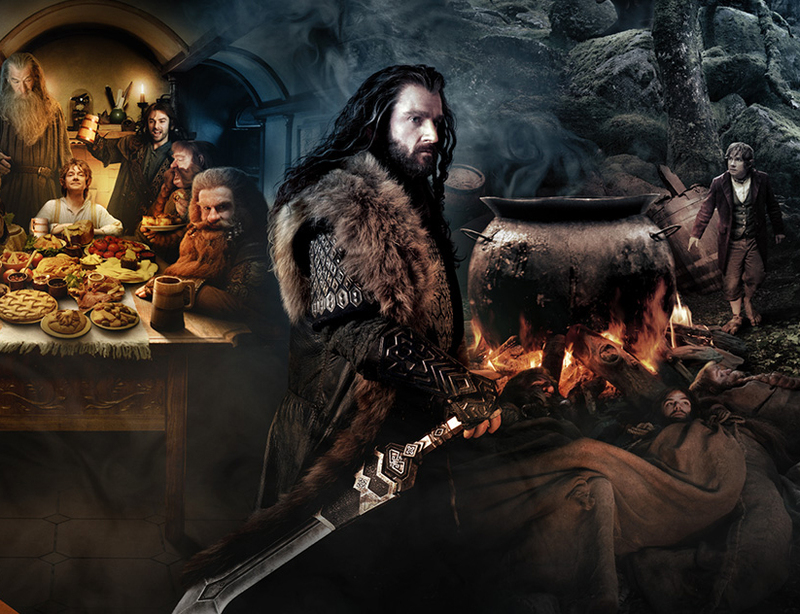 Hobbit pan (Thorin image esp!) looks awesome. Can’t wait to see the movie in December. Wow, wow, wow… I can only think of one role where Richard hasn’t had to get soaked. It’s just an axiom that the things that we dislike, that disturb us the most, somehow keep confronting us. That may be part of why so many fanfic writers get his characters into nice, friendly, warm baths, etc. @Leigh: Now that there is a tornado movie just announced starring Richard Armitage, he might get soaked again! @Judit: Aw thanks for your kind words!